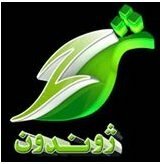 General TV Channel / Zhwandoon TV is a Pashto-language television station based in Kabul, Afghanistan. Zwandoon TV Satellite details: AsiaSat 3S, frequency 3683 MHz, symbol rate 2074ksps, FEC 3/4 Vertical polarisation. If you have the signal for Khyber TV or GEO TV than only change the frequency and symbols rate.